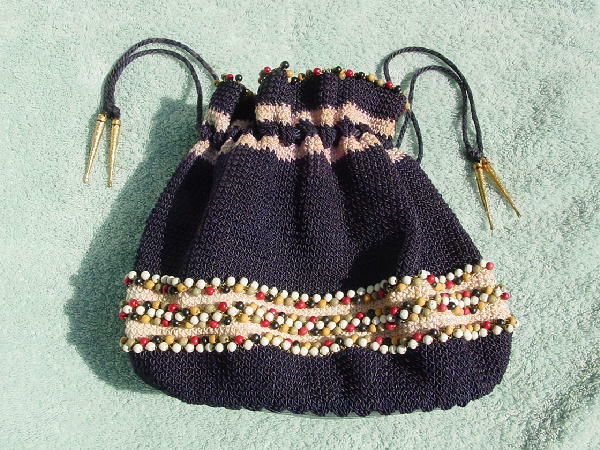 This vintage knit purse has a navy blue background with horizontal wide stripes in light grape-bone and a very light apricot-bone. 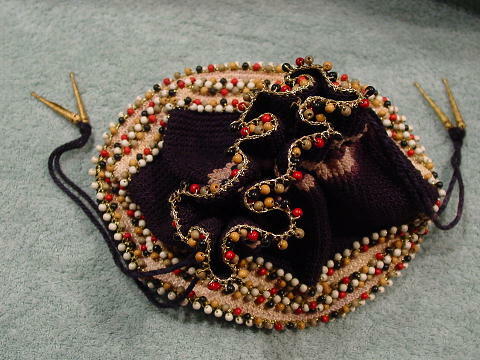 There are multiple rows of beads at the bottom as well as one row along the top rim. The beads are attached by gold-tone loops and are in white, red-coral, navy, light red, light tan, and light olive. At the ends of the double drawstrings are textured 2 1/8" long gold-tone cones. It has a navy blue elongated oval hard plastic bottom inside and out. 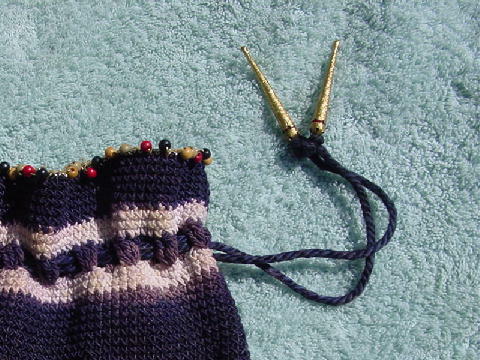 There is some fading to the navy blue knit in a few spots by the upper stripes. One bead is missing at the top, and there are some age discoloration (yellowing) spots on the stripes. This only adds to its vintage charm. She pcked it up in Europe.